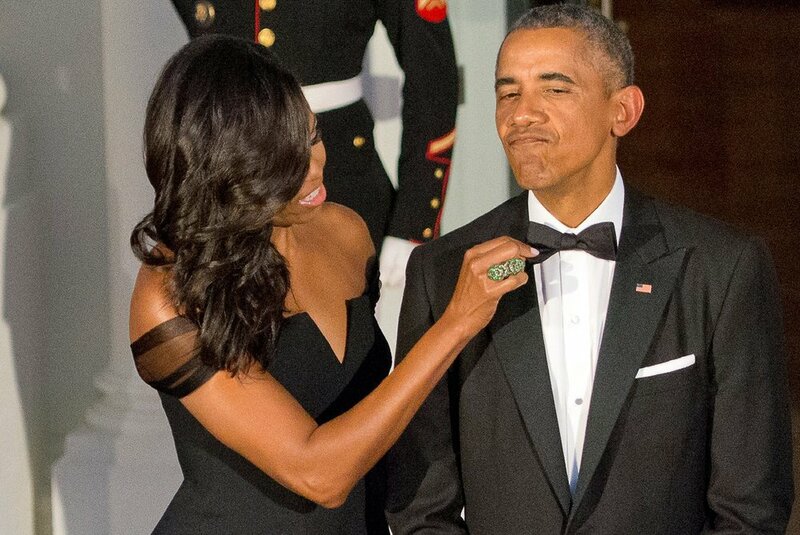 The Obamas are by far our favorite presidential couple. Today is their wedding anniversary and we want to wish them many more years of unconditional love.Over the past 7.5 years we have witnessed first hand how love should be showcased. Often times we don't see a lot of positive images of black couples in the media. Of course we ourselves see positive images of love in all shapes as forms as wedding planners. However, this image must and should extend past what we see. The Obamas have been and will always be an inspiration to so many people. They show their love for each other in so many ways. From simple hand holding to defending each other during a press conference this is true #relationshipgoals. Watching them over the years almost feels as if they are my parents or a part of my family. Their children have grown up and college is on the horizon. In the coming months celebration ceremonies will take place in tribute to the Obamas and their work in Chicago and Washington, DC. Barack is throwing his own South by South Lawn music festival at the White House today as well. Nevertheless, we wish the Obamas a great day of celebration and many more to come. Check out some of our favorite photos. There are a lot of photos we did post, so tell us which is your favorite.